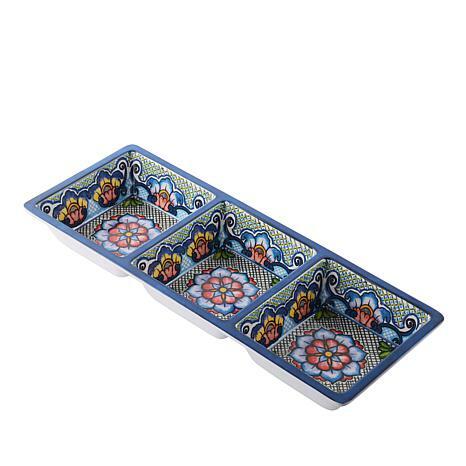 Start the fiesta when you bring this tray to the table. With three sections, it's perfect for holding your favorite taco toppings. And thanks to its melamine construction, it's easy to clean.